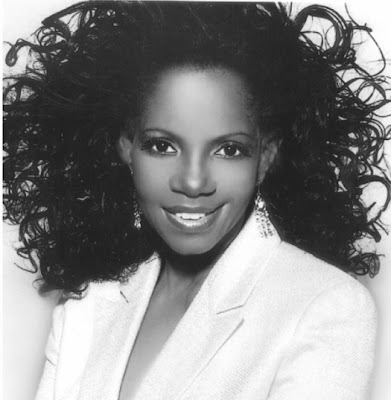 The Showbiz Wizard: MELBA MOORE is Back! MICK: It's a thrill to have you coming back to New York again with "Forever Moore" at the Carlyle Hotel. What are your thoughts on this engagement? MELBA: Momentous! It's such progress for me as I keep moving toward the goals I want to achieve in my career. I feel so ready and comfortable, excited and proud! I feel like I'm cute and pretty too! MICK: What can your fans expect to hear? MELBA: I'm going to do a combination of things that have become natural for me to do. I've discovered over these 40 plus years that I'm kind of a potpourri of things, not just one! Many times an artist will try to do a variety of things just for the sake of it but I am a variety! I will be doing songs from the great American songbook that everybody loves but my own personal rendition of them. Songs like "Blue Skys" by Irving Berlin. I will be doing songs from the Broadway shows that I starred in like "Hair" and "Purlie". I would love to have done "I Dreamed A Dream" from "Les Miserables" but I'm finding I don't have enough time in the show. MICK: Have you finished your new album yet? MELBA: No I have not. I have three songs so far. I debuted the title song which is called "Love Is". That is available on my website, I-Tunes and Amazon.com. MICK: I know your new album is on your new label A'Moore Entertainment which you share with your daughter Charli Huggins. Is she a singer also? MELBA: No, she likes the business aspect. She wants to do the executive part of it. It's our project together! MICK: Please tell me about the Melba Moore Foundation For Children. MELBA: I started that for abandoned and abused kids back in the 90's when there was a crack epidemic with moms who were high on drugs and infected with AIDS. They would go to hospitals and have babies and abandoning them there. That's how I got involved. I volunteered at hospitals to take care of some of the abandoned babies. I realized more had to be done. I started the foundation to help get placement for the children and get more people involved. I went on the board of Hale House to learn about the issues and how to deal with them. Mother Hale had be dealing with orphans and abandoned children for many years. MICK: Who are your heroes? MELBA: I'm Catholic so Mother Teresa is definitely one of my heroes! Another is my patron St. Francis. Also St. Anthony and St. Clare, all of whom came from wealthy families and gave their money to the church. If I get very, very wealthy I will do the same thing! MICK: You've had many great accomplishments in your illustrious career. Is there something you would still like to accomplish? MELBA: I want to finish what I started! To do much more Broadway theater and get much more involved in film and television. MICK: Are there any new movies on the horizon? I know your latest film was "The Fighting Temptations". MELBA: Yes, that was a few years ago. Right now I am sticking to live music and performances because it's a centerpiece for me that spawns on to other things. That will be my focus! MICK: Are there any Broadway shows on the horizon? MELBA: I feel that there will be. There have been some things offered to me that I really don't want to do. I have a couple ideas that I'd like to co-produce. MICK: I also read that you are a born again Christian but you told me you are a Catholic also. MELBA: That's not also, it's the same thing! There are so many denominations and thank God in America we have lots of varieties. But I like to say one thing here as a blooming expert in the field. Catholicism is not a denomination; it's the first church! All of the others spawned from it. They are denominations or offshoots from it. The Catholic Church is the church Jesus started. So if you are going to be born again, that's where you will be born again. I think it come from the direct imperious of outburst of the Holy Spirit on different sections of people. I have had that experience so I am born again in that sense! MICK: Have ever experienced any miracles in your life? MELBA: I'm sure I have. I think I am a miracle in a sense. I think that what I am now is so unusual for a person to have these kinds of chances to start again to build and flourish a career at this late stage. That will have to speak for itself. I am not the same person I was before and that's a miracle. But it's not something that happens over night. A miracle in progress! MICK: Will you be doing any new Christian music? MELBA: Absolutely! I have people submitting things to me now! As a matter of fact, one of the Clark sisters [the Clark Sisters are very famous Christian singers out of Detroit] is writing something for me. A few other people are creating some original Gospel music for me. Shirley Murdock is very well known in the Christian field. She was known in the secular field for a huge 1986 R&B hit "As We Lay". She's also an incredible song writer and producer along with her husband Dale DeGroat. They will be writing some things for me. MICK: What are your long range plans? MELBA: I don't have a long range plan except not to fall back into the ditch any more. It's so hard to get back up. I want to keep consistent, keep growing to be top quality at what I'm doing. Maybe one of the long range goals would be to get to the point where I have a consistent body of comedic theatrical work. I like humor and comedy and have a natural gift for that. I haven't had a chance to show it off except for "Purlie" on Broadway. I didn't know what I was doing and got a Tony Award for it! That gave me an idea that I should really make a focus out of that. RICH SIRGIOVANNI and The GRIMPS!! !